Always wanted to learn how to can? Now is your chance to master the boiling water method which allows eaters to preserve their own jams, jellies, salsas, relishes, tomatoes, fruit and more. 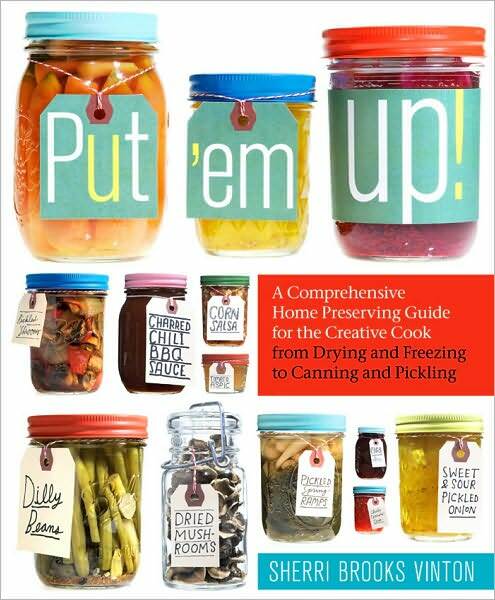 Join Sherri Brooks Vinton, author of Put 'em Up! at the gorgeous Sport Hill Farm for one of the four classes she will be offering there on July 30 (rain date July 31) at 9am, 11am, 1pm, and 3pm. Come solo or bring some friends. A light lunch will be served by Cecily Gans of The Main Course Catering, who will also be on hand to serve up and answer your questions about cooking with local foods. $50/person includes one class, lunch, a small sample to take home and a gorgeous farm view! Class size will be small so sign up today to get a spot! BUY TICKETS here. Sport Hill Farm is located at 96 Sport Hill Road in Easton, CT.